Where the original Hollywood composers who pioneered film music, such as Max Steiner, Erich Wolfgang Korngold, Franz Waxman, Bernard Herrmann and Alex North, either came from classical music backgrounds, or continued to do concert work while plying a trade scoring movies, Jerry Goldsmith always wanted to be a film composer. Born in 1929 in Los Angeles, he studied piano at six and by the time he was thirteen began having private lessons with the legendary concert pianist Jakob Gimpel. While studying counterpoint and theory with the Italian composer Mario Castelnuovo-Tedesco (who also tutored Henry Mancini and John Williams), Goldsmith happened to see Hitchcock's Spellbound which was scored by Miklós Rózsa and he was hooked. Goldsmith would soon enrol and attend lectures Rózsa gave at the University of Southern California until he began more practical studies in scoring at Los Angeles City College. By the Fifties, Jerry Goldsmith began work in radio and later scored live CBS television shows such as Climax! and Playhouse 90. Soon he was scoring multiple episodes of Rod Serling's The Twilight Zone and The Man From U.N.C.L.E. In 1961, composer Alfred Newman became deeply impressed with Goldsmith's work on Thriller and recommended him to Universal Pictures who needed a composer for their new modern western Lonely are the Brave (1962). From there Goldsmith mapped out a career that spanned over 40 years. Most film composers have a style that makes their work recognizable from the very opening notes, but Jerry Goldsmith's work was eclectic and unpredictable. More than any other composer, perhaps save Henry Mancini and Ennio Morricone, Goldsmith employed elements of both pop and classical sounds into his work. And the films he scored, both good and bad, were as motley as the soundtracks he created. On John Huston's Freud (1962), for instance, Goldsmith didn't write a score in the style of Mahler or Strauss (which would have been the composers of Freud's time), but instead the more modern serialist atonal music of Schoenberg or Berg which better reflected the turbulent journeys into the unconscious mind. In 1968, Goldsmith would even write a complete 12-tone score for Planet of the Apes. He was a master of adaptability and without ever losing his individual voice whether it was composing epic pictures like The Sand Pebbles (1966) and Patton (1970), or intimate dramas like A Patch of Blue (1965) and Sam Peckinpah's The Ballad of Cable Hogue (1970). He had a distinctive touch with period dramas either being sweepingly romantic as in The Wind and the Lion (1975), delicate and moody in Chinatown (1974), or using pop and orchestral sounds to evoke an era as in L.A. Confidential (1997). Despite the wide range of pictures from the good (Six Degrees of Separation, The Russia House, Under Fire), the bad (Papillon, Damnation Alley, Outland), and the ugly (The Swarm, The Boys From Brazil), his work remained consistently intelligent and imaginative. He would win only one Academy Award for his beautifully foreboding chorale score to the dreadful, The Omen (1976), while being nominated a record 18 times. Goldsmith would die in 2004 from colon cancer. 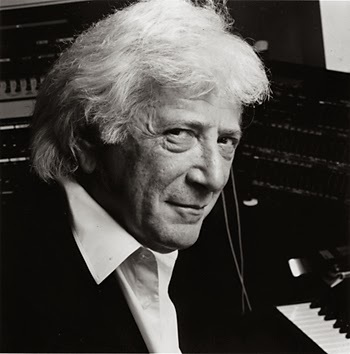 When I spoke to Jerry Goldsmith in 1982 for CJRT-FM's radio show, On the Arts, he had just finished scoring the Tobe Hooper/Steven Spielberg horror thriller Poltergeist and was in Toronto to speak at a Film Music Symposium. At one point in the interview, we started discussing his thoughts on a variety of pictures and that section is what's included below. kc: Your music for John Huston's Freud is one of my favourite scores. How did you come to work on that picture. jg: It wasn't easy. I'd done this picture at Universal called Lonely are the Brave with Kirk Douglas, the first major feature film that I'd scored. My work on that project was largely due to the insistence of pressure by Alfred Newman who was a huge fancier of my music. Universal was so pleased with my work on that picture that their musical director Joseph Gershenson continually urged John Huston to have me do the picture. I was very keen to do it because it was one of the most talked about movies about to come out. So when I got it, it turned out to be a big breakthrough for me after six months of pressure on Huston. kc: Did you find Huston musically sensitive to your ideas? jg: Yes and no. But I learned a great deal working with him. One of the most important things John taught me was during the time we were spending hours spotting music for the picture. One scene in particular took three days to figure out. There wasn't even that much music in the film, or very much in the way of dialogue either. So I didn't want to force music into the story. But we went back and forth as to whether we should put music there, or shouldn't we put music there, and John kept leaning towards including it and I kept leaning away from using music. At one point, he finally told me, "If you don't feel it, then don't waste your time trying to write something you don't feel. It won't work." That's something I've never forgotten. When I get into another situation like that with another director, I always tell them what Huston told me – and he was sure right. That settles the discussion. kc: If Freud showed your imagination at work learning how to spot music in a movie, A Patch of Blue reveals something of your delicacy as a writer. jg: A Patch of Blue, a movie about a man (Sidney Poitier) who falls in love with a blind woman (Elizabeth Hartman), was that kind of delicate and sensitive picture. It's also the kind of film that I prefer to do. People don't tend to remember that I can do those things. They concentrate more on the big epic movies and I have to remind them of the little ones like A Patch of Blue and Lillies of the Field. kc: Why are these smaller dramas so much more satisfying for you? jg: I prefer the kind of dramatic situation where there is someone you're trying to get inside of with the music. To try and write music for machinery doesn't appeal to me very much. Some people find character in automobiles. I don't. It's human situations that are attractive to me. That's why A Patch of Blue was a very special project. kc: Your job is to find a way to write music that supports the drama while the audience gets inside the drama after your work is done. But do you ever try and imagine yourself as part of the audience while you're composing? jg: Before I begin to write, I try and view the picture the very first time as if I were one of the audience. What am I feeling from this movie as part of an audience? Then, as I ruminate over my responses, I try to think about whether I'd feel those situations even deeper if I added music to it. That's how I try to approach any film. Many times there are certain emotions that got into the picture that may not have been what the director intended, but on the other hand, the music has the power to change that around. There's a marvellous example of that which happened in Logan's Run. The whole last part of the movie was done very romantically and lushly. The producer told me, "You made this into a love story." And I said, "Wasn't that always apparent?" He said, "No." I sometimes wonder how people make these films and not understand what they're doing. Some projects get so overwrought and overproduced that the studio heads are not aware of what it is. I try to think of what's apparent and what's not. In Poltergeist, there's a scene I just scored that's terrifying, but I thought it could have gone two ways musically. I could have played the terror and been done with it. But I didn't think that was quite enough. By inserting the emotional conflicts the characters were feeling brought a whole other element to it. kc: What was the first truly epic Hollywood picture you worked on? jg: The Sand Pebbles was the first 70mm and six-track stereo movie I had done. And I loved the story and found it very moving. It was also the first time I worked with director Bob Wise, a wonderful person who is also very sensitive to music, and the story afforded me a larger extended palette to work on. kc: How difficult is it working on such a large project as The Sand Pebbles? jg: The difficulties have nothing to do with size. You're concerned more with what are the dramatic and emotional problems of the characters in the story. On the other hand, you write an hour, or an hour and ten minutes of music for a film and that's the way it goes now. I'm longing for the days when there's twenty-eight minutes of music in a picture (laughs). Then there's an epic film like Patton which has only thirty minutes of music in it. kc: For me, that opening march you wrote for Patton is one of the most fascinating pieces you've composed. You start with these echoing trumpet triplets that seem to invoke war through the ages, but you do it also to play into General Patton's belief in reincarnation. Then you introduce a pipe organ playing the main theme in a liturgical tone as if to reflect his religious beliefs before you give us a quick history of the marching band beginning with the fife and drum and leading up to the modern full scale orchestral march. jg: That's it exactly. There's three basic elements that I built into the opening theme: the archaic, the religious and the military. That's what made the picture intriguing as a composer. It was to spot these individual character traits of a man and to use them by themselves and also combine them contrapuntally in whatever fashion you wanted. And that's what I did there. Sometimes I used the corral, or at other times a fanfare, or I'd put them altogether. kc: Speaking of mixing and matching musical styles, in Chinatown you mix jazz and atonal classical music. jg: The producers were always talking about providing a period sound, but I didn't want to approach it that way. I felt that would only be redundant given what was on the screen. After all, I knew that period having grown up in Los Angeles at that time. Chinatown was a situation again where I was trying to get inside the characters and the opening theme itself became a period piece with more updated harmonies. The jazziness only came about because of the trumpet player interpreting it as a blues which was very nice. But the unorthodox orchestral scoring came to me after seeing the picture. It just called for a tapestry of sound before I had any musical ideas whatsoever. This was strange for me. Usually the musical ideas dictate the orchestration whereas this time I heard the orchestration without any ideas musically. Chinatown is one of my favourite scores and one of my favourite pictures, too. kc: You finally won your Academy Award for The Omen. Were you surprised that you got recognized for this particular score? jg: I was surprised about everything on that film! Who knew it was going to take off like it did? I think the score is super. The producer had asked me while they were still shooting the picture, and I'd only read the script, what was I hearing in the orchestra? I told him, "I hear voices." He said, "Wonderful. Love the idea." And then I thought, what did I say? Now I'm stuck with this. It was a departure using a Latin text with that choral arrangement. It turned out to be quite a lot of fun. kc: Star Trek: The Motion Picture reunited you with Robert Wise. Happily? jg: Yeah. Tough, though. There was nothing much to write to in the beginning – or to the end. I was working for twenty weeks on this picture because the special effects were so slow in coming in. It just took forever. The last piece I recorded was the Klingon scene which I did on a Thursday night and the movie was supposed to open a week later in Washington. We decided to put the soundtrack album together as we were recording the music for the film so it came out at the same time as the movie. But I had fun writing the music. I actually think it's one of the best things I've done. It was one of those great moments for a composer where there wasn't enough time to build the sound effects so the music had to take it all. We didn't have to worry about being killed by the sound effects. But that's also an intelligent choice because when you're floating around in space, there is no sound. It's a vacuum. You either play it silent, or let the music carry it. Whether you liked what Kubrick did with music in 2001, when the music played, by God, you heard the music. 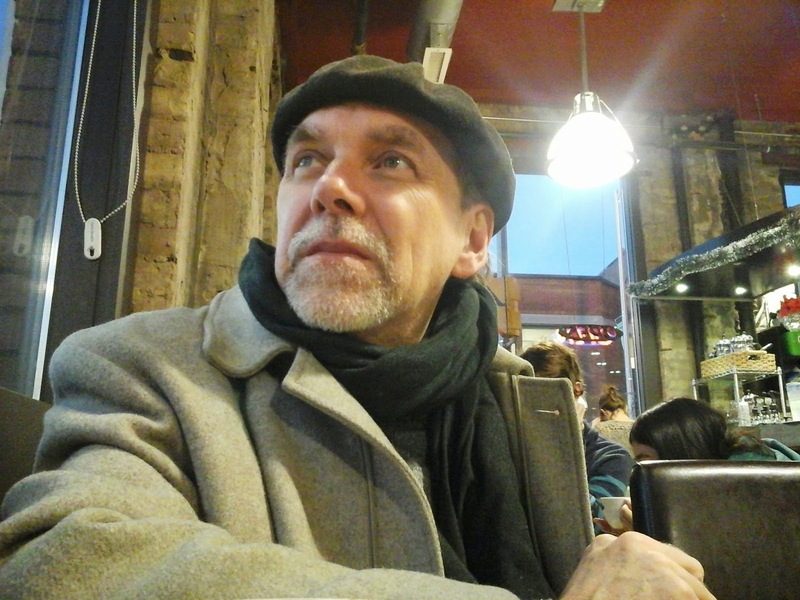 – Kevin Courrier is a freelance writer/broadcaster, film critic and author (Dangerous Kitchen: The Subversive World of Zappa,Randy Newman's American Dreams, 33 1/3 Captain Beefheart's Trout Mask Replica, Artificial Paradise: The Dark Side of The Beatles Utopian Dream). Courrier teaches part-time film courses to seniors through the LIFE Institute at Ryerson University in Toronto and other venues. His forthcoming book is Reflections in the Hall of Mirrors: American Movies and the Politics of Idealism.